Abstract: Following on from our August 2018 piece on Bitmain’s IPO, in this note we look at new information made available in Bitmain’s IPO prospectus, which was published in the last few days. The new filing confirms our suspicion that Bitmain has been making large losses recently, with a net loss of US$395m in Q2 2018. The magnitude of wasted production costs is also revealed, with almost US$0.5 billion spent on failed chips in the last 18 months. However, the document also confirms that Bitmain successfully raised US$442m from investors in August 2018, significantly strengthening their balance sheet. At the same time, this brings the IPO closer, which is good news for Bitmain and something its rivals should be concerned about. The prospectus discloses financials up to June 2018, one extra quarter compared to what had previously been available. The new income statement confirms our suspicion (driven primarily by lower sales prices) that Bitmain has been making losses recently. As the below table shows, the company lost US$395m in Q2 2018. The IPO prospectus document shows the company making a net profit of US$742m in the first half of 2018, however since we know from the “leaked” pre-IPO presentations that Bitmain made a $1,137m net profit in Q1, we can tell that Q2 was a loss making period. However, the losses only relate to a period of one quarter and business conditions may change. One quarter of losses should not be a significant concern to long term investors, especially in a volatile business like crypto-currency mining. Although mining machine prices remain low and Q3 is also likely to be a loss making period, therefore moving back into the black may be challenging. 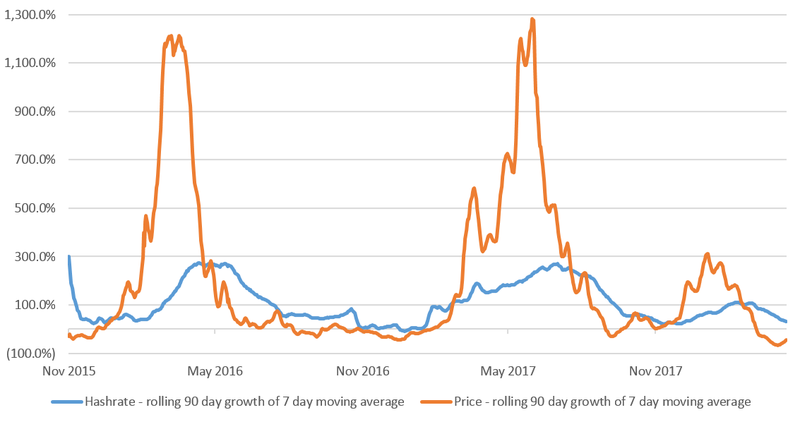 Bitmain may need to raise prices to return to profitability, in our view. 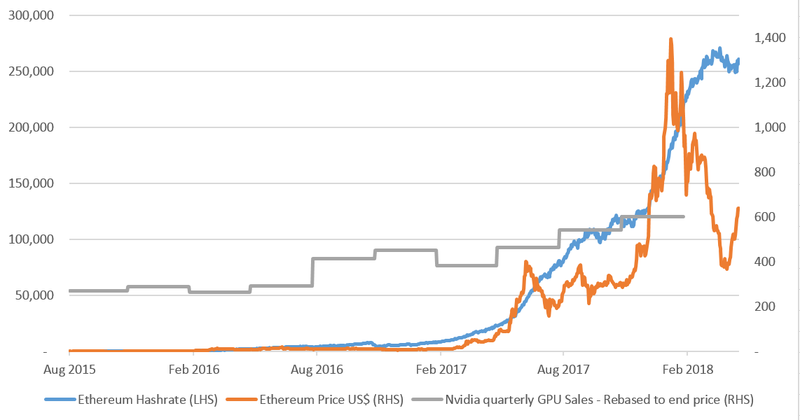 In early 2018, we anticipated strong market growth for cryptocurrency mining hardware in 2018 due to the upward trend of cryptocurrencies price since the fourth quarter of 2017, and we placed a large amount of orders with our production partners in response to the anticipated significant sales growth. 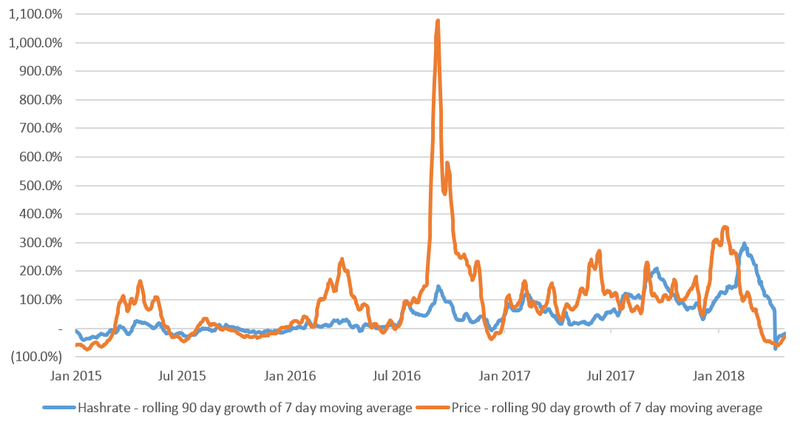 However, there had been significant market volatility in the market price of cryptocurrencies in the first half of 2018. As a result of such volatility, the expected economic return from cryptocurrency mining had been adversely affected and the sales of our mining hardware slowed down, which in turn caused an increase in our inventories level and a decrease in advances received from our customers in the first half of 2018. Going forward, We will actively balance our business growth strategy, inventories and cryptocurrencies assets levels to ensure a sustainable business growth and a healthy cash flow position, and we will adjust our procurement and production plan to maintain an appropriate liquidity level. The balance sheet position improved significantly in Q2 2018, mainly due to new cash injections from new investors. The net cash balance improved from US$104.9m to US$343m in Q2. Investors essentially rescued the company as it neared a cash crisis. As the table below shows, Bitmain raised even more money in Q3, which is likely to improve the cash position even further going forward. The inventory balance fell to $887.2m in Q2, compared to the $1,243.8m in Q1 2018. This reduction is likely to be primarily driven by impairments. In H1 2018 Bitmain suffered an inventory write-down of US$391.3m. Therefore a significant proportion of the pain related to the overproduction could have already occurred. Producing at the 7nm level is too expensive and Bitmain’s rivals, Innosilicon, Ebang, Bitfury have out-smarted Bitmain by selecting the cheaper and larger wafer size in their new products, which have also all been announced in the last few weeks. As we mentioned in our previous piece, “Bitmain has tried to release at least three new more efficient Bitcoin mining chips, one at 16nm, one at 12nm and more recently 10nm in March 2018. Each of these releases failed, costing Bitmain hundreds of millions of dollars”. The disclosure in these documents may reveal that our assessment may have been accurate and the scale of the cost of these failures can now be determined. The above illustrates just how risky and potentially financially costly it is to produce new chips. Bitmain have paid a high price for some of the failures. The prospectus does not reveal any significant new information compared to our previous report, individual holdings by coin were not disclosed. The value of crypto-currency on the balance sheet fell to US$886.9m in Q2, compared to US$1,172.4m in Q1. This is likely to be driven by a fall in value in Bitcoin Cash and the other coins. Bitmain disclosed an impairment of its crypto-currency holdings of US$102.7m in Q2, which is likely to have accelerated further into Q3. The prospectus enables us to quantify the financial impact of mistakes we already suspected that Bitmain had made. Obviously many of these mistakes could have been avoided, but all they really show is that Bitmain take risks. If Bitmain didn’t take such risks the company would not have built $1,617m of shareholder equity in the last few years and Bitmain would not have been the largest and most profitable mining company in 2017. We now know the IPO is close and could occur within a few months. This could provide Bitmain a substantial cash war chest. 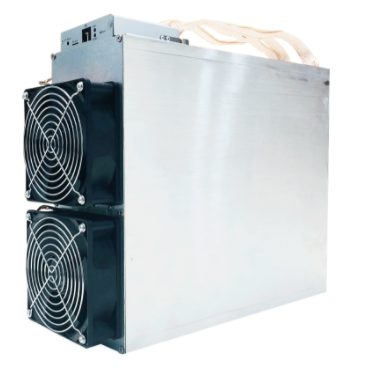 Although Bitmain’s rivals have very recently successfully began releasing a wave of new more efficient mining products, Bitmain’s new large cash reserves is something they should worry about. Even though Bitmain obtained this money from investors, rather than generating it from free cash flow. Abstract: In this piece we review and analyse Bitmain’s financial data, which was made available (or leaked) as part of the pre-IPO process. The figures indicate Bitmain was highly profitable and cash generative in 2017, but may currently be loss making. Bitmain also spent the majority of its operating cash flow acquiring Bitcoin Cash and may have suffered mark to market losses of US$328 million as a result. We conclude that the IPO itself may go well, however going forwards the allocation of investor capital will be key and management may need to improve in this area. Bitmain expects to submit IPO documents to the Hong Kong Stock Exchange at the end of August 2018, with a public listing expected towards the end of 2018. The company has just conducted a pre-IPO round, raising several hundred million dollars at a valuation of around $14 billion. Therefore we believe the company is likely to attempt to raise several billion dollars at the IPO stage, with a valuation north of $20 billion. Documents outlining this process, which also contain Bitmain financial data, have been leaked on Twitter. We have reason to believe the authenticity of these documents, which forms the basis for this report. Mining farm operator Hive Blockchain, Genesis mining, Bitmain In 2016 Bitmain is likely to have been a dominant player, however the pre-IPO documents show Bitmain has significantly scaled back in this area. Revenue from own mining operations has fallen from 18.4% of total revenue in 2016 to just 3.3% in Q1 2018. Will there be demand for the IPO? Bitmain has a strong or dominant position in most areas in cryptocurrency mining, as the table above illustrates. Bitmain is likely to be the largest and most profitable company in the blockchain space, which is likely to make the company attractive to many investors. Justified or not, the blockchain space is now regarded by many as one of the next big internet based technologies and Bitmain is the number one player in this space. Whether this network effect type logic can apply to ASIC design and distribution is not clear to us and the benefits of being big may be limited to the more traditional economies of scale. We think it is important to not only look at cryptocurrency mining through the technology lens, but also to look at it from the angle of an energy intensive industry, like mining for natural resources. In these sectors the benefits of scale are more limited than for internet based networks. Therefore we don’t completely agree that one should blindly invest in the largest cryptocurrency mining entity, we just think than some investors, perhaps naively, may think this way. As we alluded to above, one of the most interesting discoveries in the Bitmain pre-IPO documents was the sharp decline in Bitmain’s own mining farm business. Although the share of revenue has dramatically fallen, in absolute terms own mining revenue still grew by 250% in 2017, its just that the 948% growth in equipment sales overshadowed this. We believe this decline represents a smart strategic decision by Bitmain to divest (relatively speaking), from an increasingly competitive and lower margin area. In our view, as one moves down the mining supply chain, the competition is likely to increase faster and Bitmain made a sensible move by trying to focus their efforts up the chain, where an increasingly large proportion of the value from mining may accrue. In some ways this is good news for Bitcoin decentralisation, as a dominant mining player has stepped back. We believe ASIC design and distribution is less critical to network security than mining farm operation, which in theory choose the pools who construct blocks and select which blocks to build on top of. Of course Bitmain’s power and dominance in the ASIC space still remains as a significant problem for Bitcoin. In the documents, Bitmain disclosed the revenue, sales and crucially gross profit margin for each of the main mining products. We have displayed the relevant data in the table below. 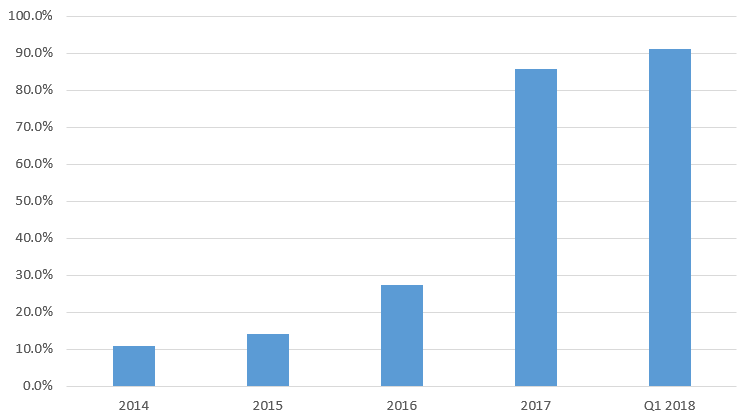 The data shows that Bitmain sold over a million S9’s in 2017 and then over 0.7 million in Q1 2018 alone. Using the disclosed gross profit margin from 2017, we calculated the implied cost price of each machine. Assuming these costs remain unchanged (which may be unrealistic), we were able to calculate gross profit margins based on the latest prices on the Bitmain store. This analysis implies Bitmain are currently loss-making, with a negative profit margin of 11.6% for the main S9 product and a margin of over negative 100% on the L3 product. In reality costs are likely to have declined so the situation may not be as bad, however we think it is likely Bitmain are currently making significant losses. These low prices are likely to be a deliberate strategy by Bitmain, to squeeze out their competition by causing them to experience lower sales and therefore financial difficulties. In our view, herein lies the key to one of the main driving forces behind the decision to IPO. A successful IPO may increase the firepower available to continue this strategy and eliminate an advantage rivals could have by doing their IPOs first. Another reason for these low prices and apparent losses may be that Bitmain has too much inventory on the balance sheet. 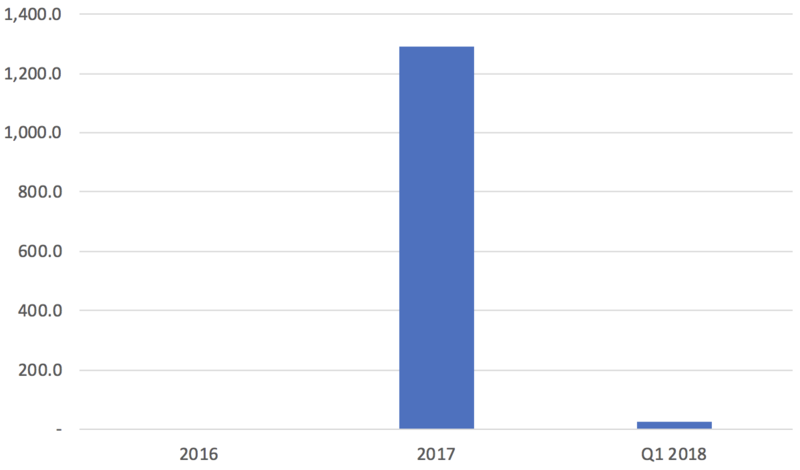 As at March 2018 Bitmain had $1.2 billion of inventory on the books, equal to 52% of 2017 sales. Bitmain may therefore have had to suffer inventory write downs, which could have generated further losses in addition to the loss making sales. A large portfolio of altcoins, with a cost base of $1.2 billion which represents the primary use of Bitmain’s cash flow. One of the key assets of the company is its portfolio of cryptocurrencies, valued (on a cost basis) at almost $1.2bn as at March 2018. As at March 2018 this consisted of over 1 million Bitcoin Cash. 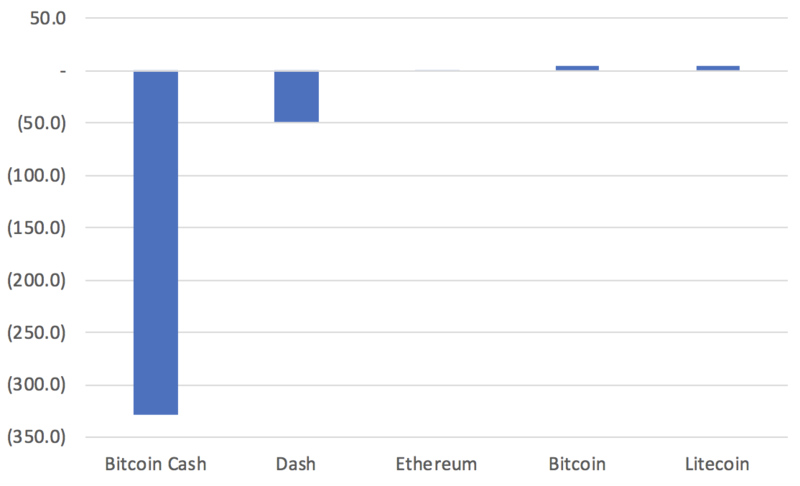 The market value of the altcoin portfolio has fallen in value since Bitmain invested, with almost all the losses attributable to Bitcoin Cash, as the chart below shows. 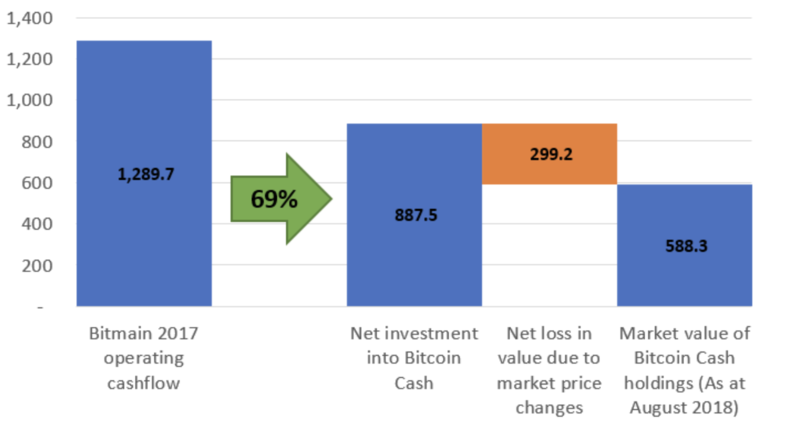 As the following chart below illustrates, the Bitcoin Cash investment itself is very significant, to the extent that the company spent around 69% of its 2017 operating cash flow on purchasing Bitcoin Cash. Although this could be an exaggeration, some of the Bitcoin Cash would have been inherited from pre-fork Bitcoin. The figures imply that around 71,560 of the 1,021,316 Bitcoin Cash coins could have been inherited in this way. The situation is even worse than the above indicates. Not only did Bitmain spend a majority of the 2017 cash flow into Bitcoin Cash, they also spent a majority of cash flow from their entire history of operations, into Bitcoin Cash. 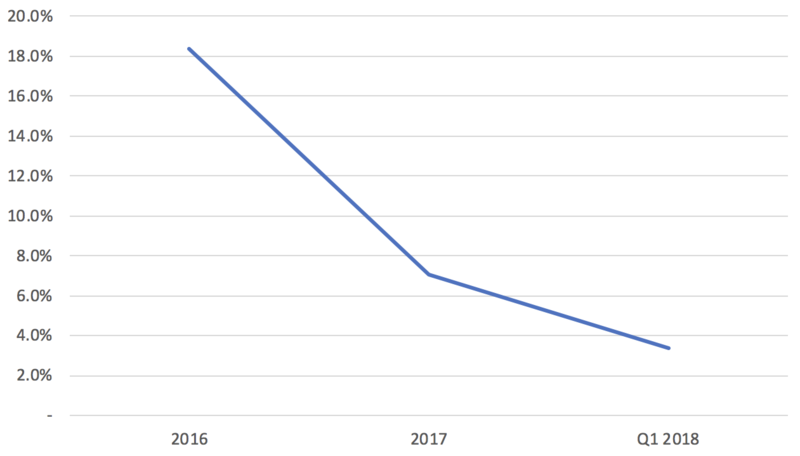 The documents show that Bitmain generated no cash flow in in 2016 and then only $25m in Q1 2018 (perhaps due to large TSMC prepayments). In a sense of course none of this matters. Bitmain spent their own funds on risky assets and they knew the risks. For a public company the situation could be a different, with investors expecting the company to invest in core operations or return money to investors. Although perhaps our expectations for governance here are too high for Hong Kong. Why are Bitmain doing the IPO? In our view the primary motivating factor for the IPO is simply that Bitmain’s competitors are also planning on doing them and the industry is fiercely competitive, as Bitmain’s loss making prices indicate. Rival Canaan Creative are planning on an IPO and Bitmain are unlikely to let them obtain such a funding advantage. Bitmain’s IPO should deduct money from the pool of capital that could otherwise be invested in Canaan as well as the other miners and it is therefore a good complement to the strategy of lowering prices. The other reason for the IPO may be to strengthen the balance sheet after investing the majority of the operating cash flow into Bitcoin Cash. 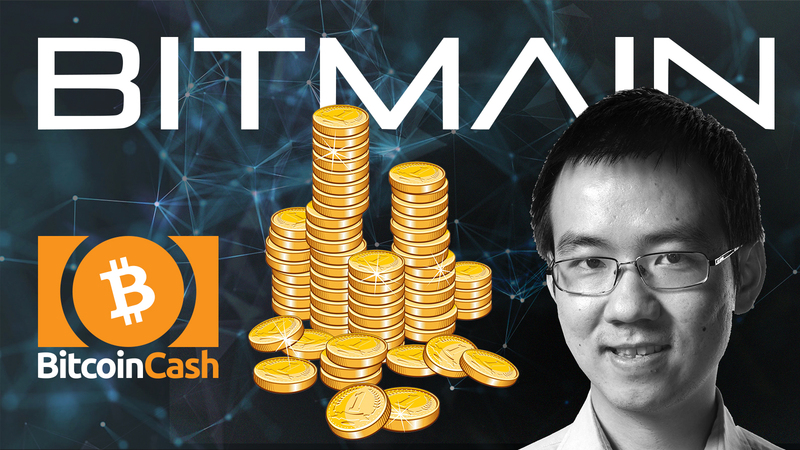 Bitmain only had around $105 million of cash on the balance sheet as at March 2018, when this figure could have been nearer a billion dollars if the company hadn’t acquired so much Bitcoin Cash. At the same time the business does require a lot of cash, for example the large advance cash payments TSMC require, which reached a peak of $866m in 2017. The narrative surrounding Bitmain’s technical capabilities can be spun in either direction and as ever the truth may lie somewhere in the middle. However, one thing is clear, if these mining companies do go public, the picture should be far less murky going forwards and we think that could be a significant positive for the cryptocurrency community. In a way some of Bitmain’s biggest mistakes, such as producing too many units and buying too many speculative altcoins in a bull market, are somewhat analogous to the typical behaviour of mining company management teams. For instance gold mining firms often invest in high cost assets in bull markets and then fail to invest in quality low cost assets in bear markets. Perhaps it is not totally fair to blame these companies, the hedge funds and institutional investors who own the shares are often just as, if not more, at fault. Greed, fear and the emotions of market moves can affect us all. Therefore although Bitmain has made mistakes, in many ways they are not unusual or unexpected. We are sure you have heard it before, but “cryptocurrency is here to stay”. In that environment we think Bitmain has the ingredients to be one of the great companies in the space. Bitmain can be a legendary crypto company, generating strong shareholder returns for decades to come, but in order to achieve this (and it’s a lot harder than it sounds) the Bitmain management team may need to improve their management of company resources. Once the company goes public, capital allocation decisions in this volatile and unpredictable market will be difficult enough, letting emotions impact too many investment decisions may not be tolerated. Abstract: We examine the extent to which one miner dominated Bitcoin in 2009. 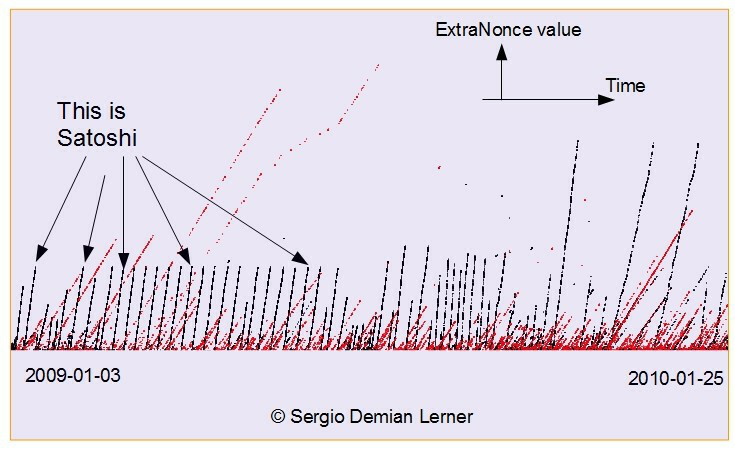 We review Sergio Demian Lerner’s 2013 analysis, where he discovered that the increase in the ExtraNonce value in the block can potentially be used to link different blocks to the same miner. 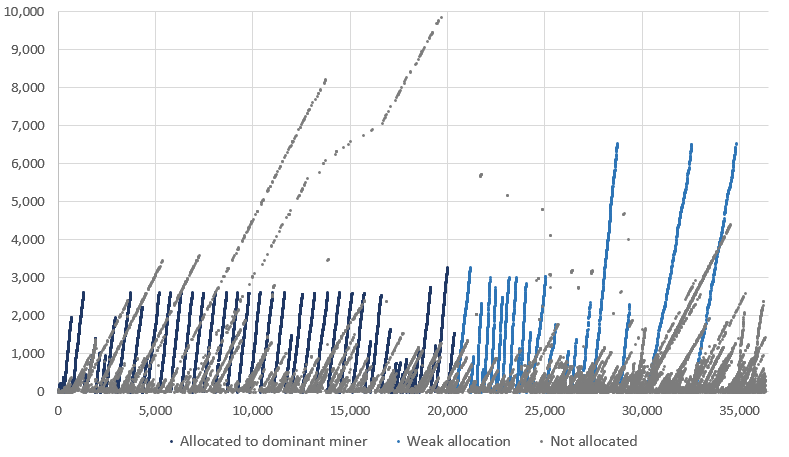 We build on his analysis and conclude that although the evidence is far less robust than many assume, there is reasonable evidence that a single dominant miner in 2009 could have generated around 700,000 bitcoin. Although our analysis itself is weak and there is no perfect way of approaching this problem. It is likely that some people could have been biased in dismissing Sergio’s claims, since if Satoshi had mined a significant proportion of the early coins, in the eyes of some that could damage the monetary integrity of the system. However, in our view, the evidence Sergio initially presented was somewhat weak. Just a few days later, Sergio then posted a far more persuasive argument on his blog, with much stronger evidence that a single miner was dominant. This then eventually convinced many in the community and to this day many people believe Satoshi is likely to have mined around one million bitcoin. Sergio published the below picture, with the ExtraNonce on the y-axis and the blockheight on the x-axis (He incorrectly labeled the x-axis as time). The image shows that the ExtraNonce increase over time, in a series of slopes. Some of the slopes (in black) are said to be of a similar gradient, not to overlap and to go back down to zero once they reach a certain height. This is said to demonstrate that all the black lines belonged to one miner (potentially Satoshi) and that this miner now controlled almost a million Bitcoin. Although the technical points about the gradient of the slopes, the height and the lack of overlap may be quite difficult to appreciate and evaluate, the image itself is clearly very powerful and persuasive, in our view. We decided to repeat Sergio’s analysis, except our objective was to count the blocks mined by the apparent single entity and allocate all the blocks. The excercise was challenging, since the slopes interact with many other points. It is therefore impossible to do an accurate allocation. As a result, our analysis is far from perfect and we used a variety of methods, including statistical analysis, random number generators and even manual review to allocate some blocks. We will have made many errors and we do not claim our methodology is robust or scientific. However, as far as we are aware, this is the first attempt to allocate every block in 2009 as belonging to the apparent single entity or not. The below high resolution image below represents our allocation for every block in 2009. Up to August 2009 we agree with Sergio’s conclusion. There are 22 slopes prior to August, which all have both similar height and gradient (Around an increase in the value of the ExtraNonce by 4 per block found). At the same time these slopes almost never overlap. (The tiny amount of apparent overlap in some instances in less than 5 blocks and therefore may just be coincidence). After August 2009 the pattern breaks down to some extent. The gradient of the slopes varies considerably (from 1.1 nonces per block to 10 nonces per block). At the same time the height of the slopes is inconsistent and there are many large gaps between them. Therefore although the image still looks compelling, the evidence that the miner is one entity is somewhat weak, in our view. We have presented results below, which include figures both pre and post August 2009. The image is highly powerful, just looking at it illustrates there is a dominant miner. Although explaining it statistically may be challenging, the conclusion is clear. Although the ExtraNonce analysis is interesting and revealing, when it comes to estimating the number of coins mined by the dominant miner, it is essentially useless. The methodology used when conducting the allocation involves maximising the number of blocks in each slope, this is required due to the lack of any other available mechanism for allocation. Therefore the number of blocks allocated to the dominant miner is grossly overestimated. The analysis is built on a logical fallacy. In any period there is going to be at least one miner who has the largest share or the steepest rate of increase in the ExtraNonce. There are also going to be at least some types slopes which do not overlap. Grouping these slopes from potentially different miners together is misleading and potentially based on flawed reasoning. Even if the slopes are similar, this could be because different entities had a similar setup. Each miner is not independent, in the sense that they are likely to be running the same software or could be using the same popular hardware, which could produce the same pattern. In conclusion, although there is strong evidence of a dominant miner in 2009, we think the evidence is far less robust than many have assumed. Although a picture is worth a thousand words, sometimes pictures can be a little misleading. Even if one is convinced, the evidence only supports the claim that the dominant miner may have generated significantly less than a million bitcoin in our view. Perhaps 600,000 to 700,000 bitcoin is a better estimate. None of the above says much about whether the dominant miner was Satoshi, although we know Satoshi mined block 9, which we have allocated to the dominant miner in our analysis. However this is in a slope of just 11 blocks, so it’s certainly not conclusive. Whoever the dominant miner was, it is of course possible the keys have been lost or discarded by now. Why delete a wallet instead of moving it aside and keeping the old copy just in case? You should never delete a wallet. 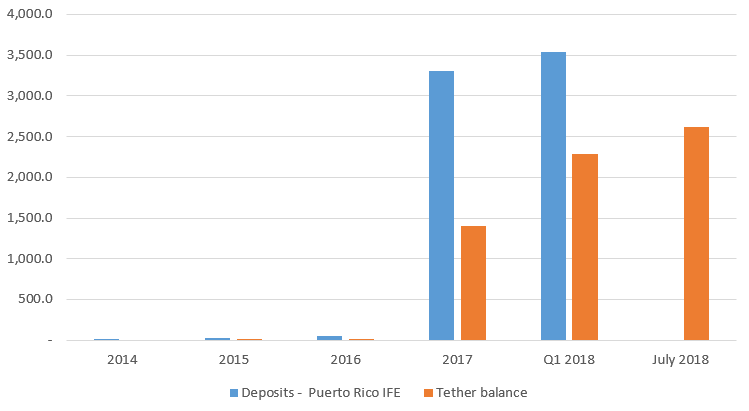 Abstract: Following our earlier research pieces on Tether, financial information from Q1 2018 has been released by the financial regulators in Puerto Rico, providing more evidence of the impact of Tether. In addition to this, a source close to Tether has confirmed to us that the speculation in our initial report is correct. According to three people with knowledge of the matter, Noble Bank International, based in San Juan, Puerto Rico, took over banking duties for Bitfinex last year. In addition to the above, BitMEX Research has also now spoken to people close to Tether, who have also confirmed the reliability of most of the claims in our February 2018 report. Our initial discovery was based on the disclosure of data from the financial regulator in Puerto Rico, who have recently provided the latest update, for the quarter ended March 2018. In our view, the data continues to support our initial speculation. Bank deposits in the International Financial Entities (IFE) category, which includes Noble Bank, were $3.5 billion, up 6.9% in the quarter. Total assets in the category were $4.1 billion, up 7% in the quarter. This moderate growth coincides with a the moderate increase in the volume of crypto-coin trading, which has likely resulted from the continued growth of the Tether balance and crypto-coin ecosystem, moderated by crashing crypto-coin prices in the quarter. In the quarter, the value of Tether in issue increased by 62.7% to $2.3 billion. 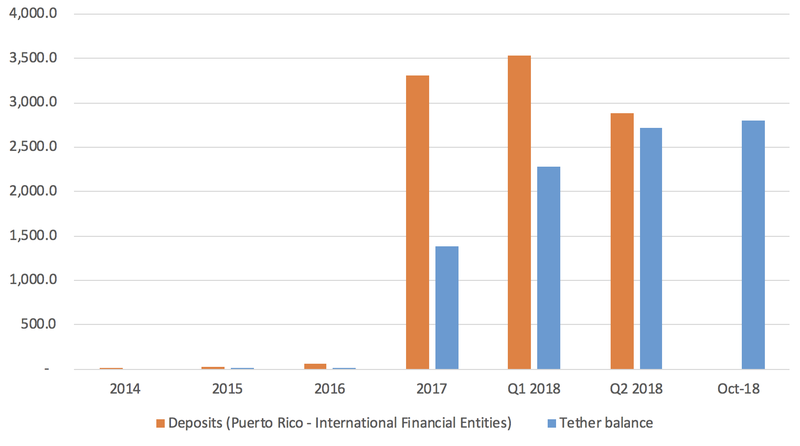 We have updated the chart below from the version in our earlier piece, which compares the Tether balance with the deposits in the banking category in Puerto Rico which contains Noble Bank. Cash as a percentage of total assets (an indication of full-reserve banking) also increased in the quarter, from 85.8% to 91.0%. This also indicates crypto-coin or Tether-related activity, as we explained in the previous piece. In the quarter the regulator appears to have changed the name of the Tether balance, to “Deposits, money market investments and other interest-bearing balances” from “Cash in banks“. We do not view this as suspicious. 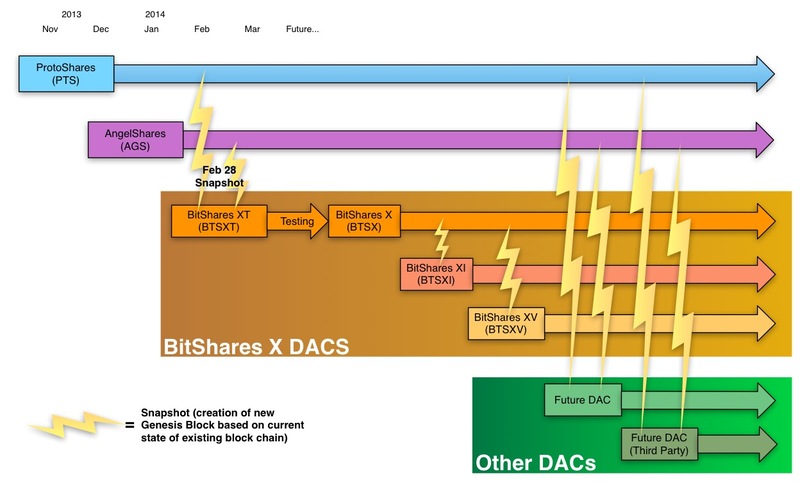 Abstract: In this piece we look over the history of distributed stablecoins, focusing on two case studies, BitShares (BitUSD) and MakerDAO (Dai). We examine the efficacy of various design choices, such as the inclusion of price oracles and pooled collateral. We conclude that while a successful stablecoin is likely to represent the holy grail of financial technology, none of the systems we have examined so far appear robust enough to scale in a meaningful way. The coins we have looked at seem to rely on “why would it trade at any other price?” type logic, to enforce price stability to some extent, although dependence on this reasoning is decreasing as technology improves. Distributed stablecoins aim to achieve both the characteristics of crypto-coins like Bitcoin (censorship resistant digital transactions) and the price stability of traditional financial assets, such as the US Dollar or gold. These systems are distinct from tokens such as Tether, where one entity controls a pool of US Dollar collateral, ultimately making the system centralised and thus susceptible to being shut down by the authorities. The technical challenges involved in creating such systems are often underestimated. Indeed constructing a distributed stablecoin system, which is robust enough to withstand cycles or the turbulence and volatility linked to financial markets may be almost impossible. For instance perhaps most forms of fiat money, even the US Dollar itself, have not even achieved that, with credit cycles putting US Dollar bank deposits at risk. A stablecoin system which builds on top of the US Dollar is therefore never going to be more reliable than traditional banking, in our view. However advanced or sophisticated the distributed stablecoin technology is, we believe the token is likely to be less robust than the layers above it in the money supply tree. In this piece we review some of the most prominent and interesting attempts at building these synthetic US Dollar type systems. BitUSD in 2014 and then a more recent project, MakerDAO (Dai). 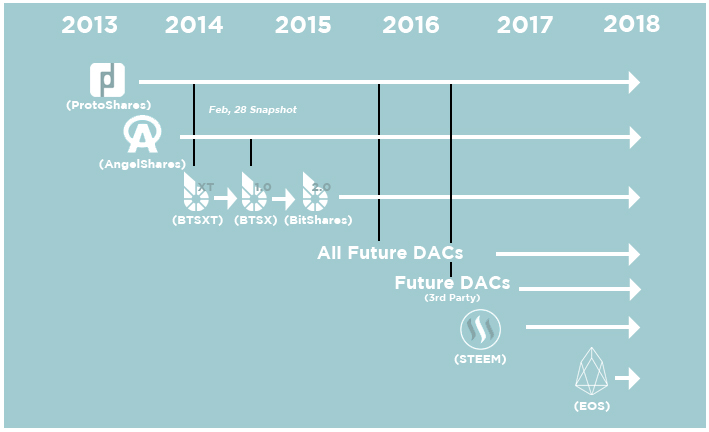 Bitshares held as collateral Separate pools of Bitshares held as collateral, used as backing for the stablecoin. BitUSD holders Investors and users of the BitUSD stable coin. Holders of BitUSD are able to redeem the tokens for the Bitshares held in collateral. BitUSD creators Those that create new BitUSD, by selling it into the market (creating new loans), by posting BitShares as collateral. This loan may be for a small period of time, after which it needs to be rolled over or have its collateral topped up to the initial margin level. Traders Those exchanging BitUSD for Bitshares, and vica versa, on the platform’s own distributed exchange. There is therefore a Bitshares vs BitUSD market price. Investor psychology (Unclear/”Why not trade at $1?”) Both directions There does not appear to be a specific price stability mechanism in the BitUSD system. One can redeem and create BitUSD, however the price this transfer occurs at is determined by the BitUSD vs BitShares price in distributed exchange, which is not linked to “real USD”. In a way the price references itself. There is therefore no direct mechanism keeping the price of BitUSD at $1, but the argument put forward is “why would it trade at any other price?” In our view this logic is weak. BitUSD redemption (indirect) Positive Should the value of the collateral currency (BitShares) fall, any BitUSD holder can redeem the BitUSD and obtain $1 worth of BitShares, assuming the market price of BitUSD is still worth $1 and there is sufficient BitShares held in collateral. This stability mechanism protects the integrity of the system only in the event that the value of BitShares falls and the BitUSD market price remains at $1. 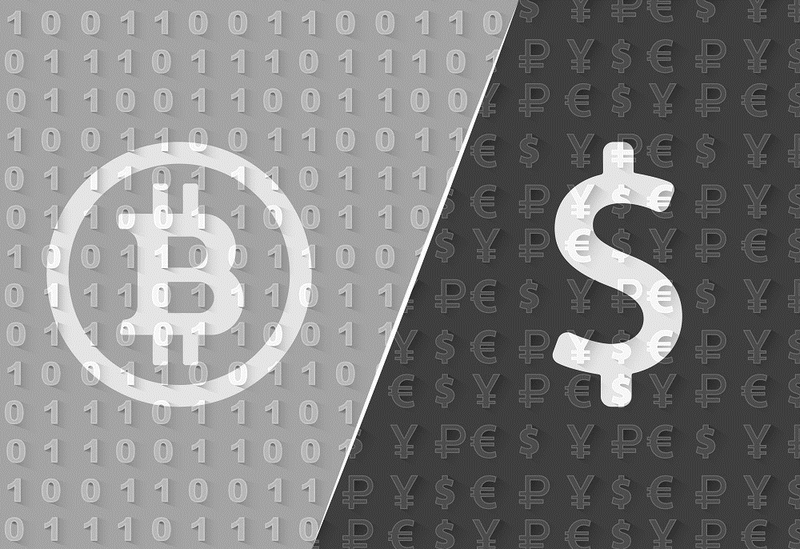 It does not directly stabilize the price of BitUSD around $1, in our view. If the price of BitUSD deviates from $1, this mechanism may not help correct the price. In our view, it is important to draw the distinction between a mechanism designed to protect the value of collateral and that of a mechanism which directly causes the price of the stablecoin to converge. 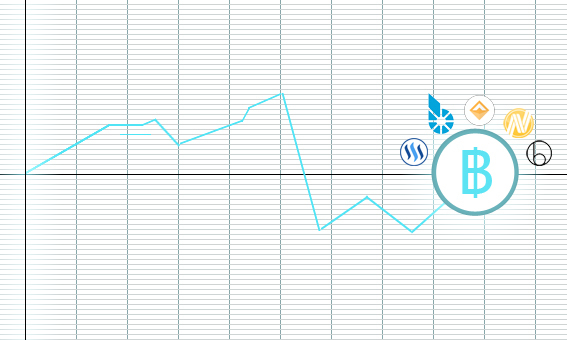 Exposure to a fall in the value of collateral – BitShares was a new, untested and low value asset, and therefore its value was volatile. If the value of the token falls by 50% sharply, in a period spanned by one of the loans used to create BitUSD, there may be insufficient collateral and the peg could fail. Lack of a price oracle – In our view one of the most controversial aspects of this design is the absence of any price oracle mechanism, providing the system with real world exchange rates. However any price oracle system is challenging to implement and may introduce several weaknesses and avenues for manipulation. We will talk more about this in part 2. In our view, the only real way around this may be that any stablecoin system may require a price feed from a distributed exchange, which can in theory publish a distributed price feed from real world US Dollar transactions. The distributed exchange in BitShares did not allow “real USD”. 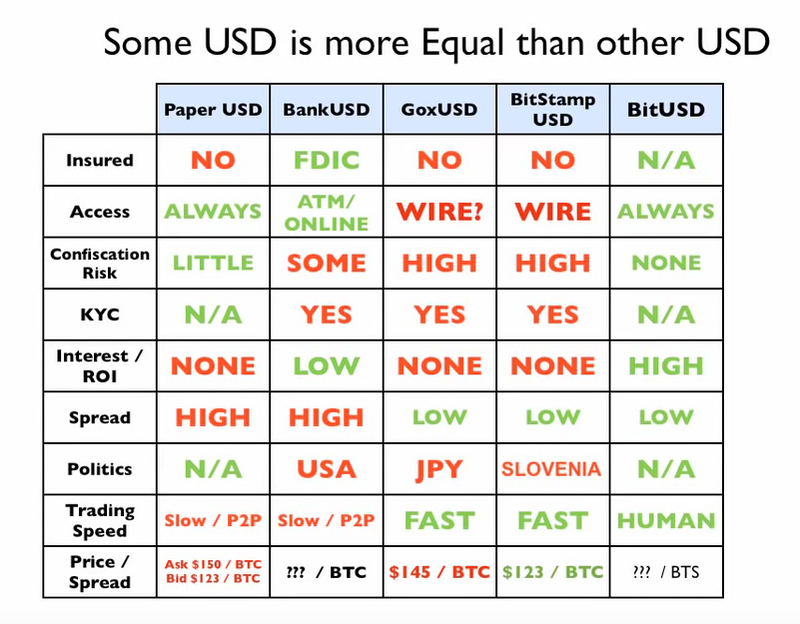 A distributed exchange system like Bisq, without a central clearing could in theory allow “real USD” prices and provide a distributed price feed. Therefore stablecoins may eventually be considered as a layer two technology on top of liquid and robust distributed exchange platforms, should these systems ever emerge. Manipulation – Trading volume in the Bitshares vs BitUSD market on the distributed exchange platform was low, it was therefore possible for block producers to manipulate the market by causing the value of Bitshares to fall relative to BitUSD, enabling them to obtain Bitshares at a discount. Lack of any price stability mechanism – The main weakness of the system is the lack of any mechanism to move the price towards $1, other than the “where else would it trade?” logic. In Daniel’s view, the mechanism of BitUSD creation is analogous to how USD are created in the economy, in that financial institutions lend them into existence. It’s the same way dollars are created in the regular banking system. Dollars are learnt into existence backed by collateral, in the case of the current banking system the collateral is your house. In the case of our system its shares in the DAC itself. In a way Daniel is correct here, however as we explained in the introduction to this piece, these synthetic dollars are far less reliable than those created by more traditional banks, and can be considered as a whole new layer of risk, as they are even further away from base money. In addition to this, when obtaining a bank loan, the bank typically has a legal obligation to provide the customer physical cash should they demand it. While such an outcome for BitUSD holder is possible, its not a legal obligation for the creators of BitUSD. Although obviously banks typically do not have the cash in reserve to pay back their deposits, we think the fact they have a legal obligation to do so is an important distinction to draw when comparing BitUSD to US Dollar banking deposits. It implements automatic margin calls, such that if the price moves against someone who is effectively short, it forces them to cover and buy it back in the market and that creates a peg. 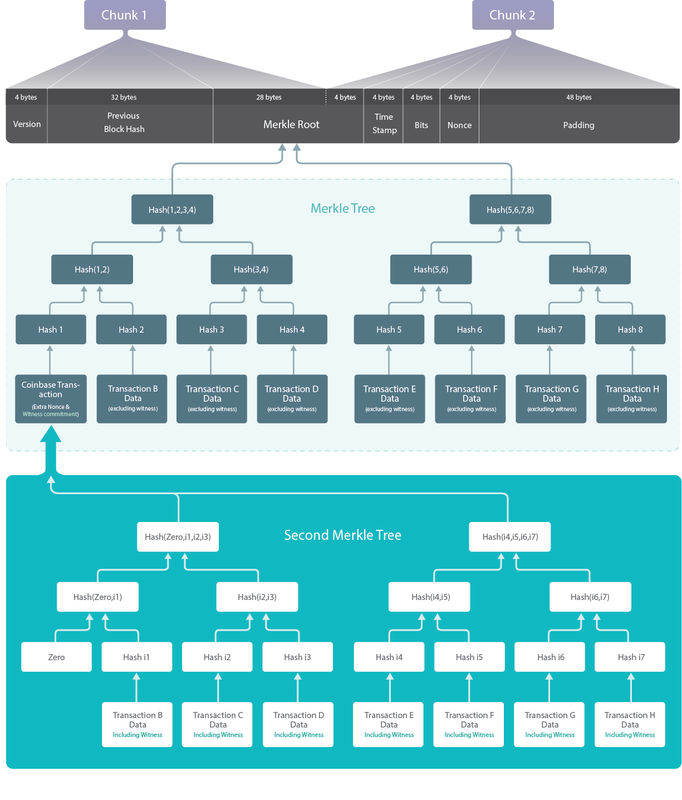 The market peg works on the premise that all market participants buy and sell based on what they think market participants will be buying and selling in the future. The only rational choice is to assume that it’s going to trade based on the peg in the future. If you don’t believe that they you have to decide on which way it’s going to go, up or down. And if you don’t have a way of saying you abstain from the market. If you don’t think it works you sell the shares and get out, as the systems going to fail in the first place. So its a self reinforcing market peg, that causes the asset to always have the purchasing power of the dollar. In our view this idea that a price of $1 is the “only rational choice” is a weak argument. It is basically saying that if the price is not $1, then what will it be? This logic may hold true for some periods, but it is not sustainable and will not scale, in our view. 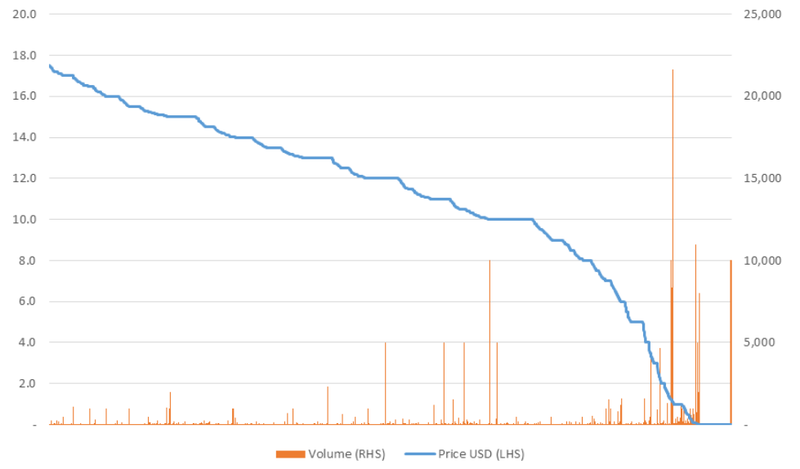 The volume of BitUSD in existence was a lot lower than many had hoped, in some periods there was only around $40,000 in issuance. At the same time liquidity was very low and the price stability was weak, as the below chart illustrates. The main architect of BitUSD went on to propose a new stablecoin SteemUSD in 2017, this time including a price feed system. Therefore we consider BitUSD as an interesting early experiment, it did not achieve what was hoped nor did it build a robust stablecoin. The next stablecoin we look at is Dai, which exists on the Ethereum platform. This system is highly complex, with four relevant pools of funds and six possible stability mechanisms. There are currently around $50 million worth of Dai in issuance and the peg seems to be holding up reasonably well. Dai Dai is an ERC-20 token that is generated by collateralizing pooled Ether. Dai is the stablecoin token, designed to be valued at $1. Maker The Maker token is MakerDAO’s governance token. It is used to vote on various initiatives that pertain to the stability of the ecosystem. It is also mandatory to possess during the collateral unlocking process. During such a process, a stability fee is garnered from the user, where payment is accepted exclusively in Maker. Maker is also an ERC-20 token. Dai Creators An individual who sends Ethereum to a smart contract, locking up Ethereum in exchange for Dai. These people are also known as CDP owners. Dai Holder/User A Dai holder may or may not be a Dai creator. They may invest in or use the Dai stablecoin token. Maker Token Holders Maker token holders vote on several functions and parameters of the MakerDAO system. They manage aspects such as stability fees and liquidation ratios, as well as having responsibility to nominate other groups. Keepers These traders monitor the Dai collateral and if it falls to an insufficient level, purchase the collateral in an open auction, by spending Dai. Oracles Price feed producers submit price information that is aggregated and used to select a given price for both Maker and Ethereum (but not Dai itself). These agents are nominated by MakerDAO token holders. In order to prevent manipulation, there is a one hour lag between the price publication and when it impacts the system. In addition to this a median type mechanism is used to select the price, which involves ignoring the highest and lowest prices. In our view this may not prove to be robust enough if the oracles have a conflict of interest and try to engage in manipulation. Global settlers This is another group nominated by the MakerDAO token holders. This group can unwind the entire Dai system, by giving Dai holders the right to redeem their collateral at a fixed price. Dai Redemption Positive The primary stability mechanism is the ability, in theory, to redeem Dai for $1 worth of Ethereum. Redemption can only be conducted by CDP owners (unless there is insufficient collateral). If the price of Dai falls, CDP owners need to either use Dai they currently hold or buy it in the market, and then they can redeem/delete Dai for $1 worth of Ethereum based on the price feed provided by the price oracles. 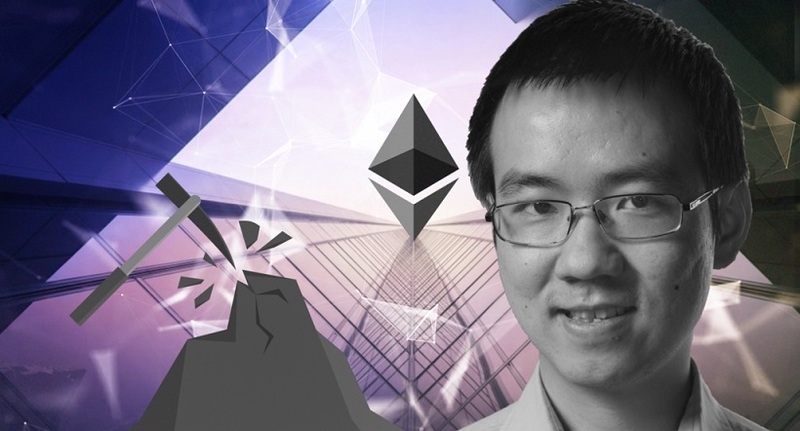 Dai Creation Negative To complement the Dai redemption process, the mechanism to prevent the price of Dai climbing too high, is the ability of Ethereum holders to create new Dai, by placing Ethereum inside of CDPs. Target rate (Not active) Both directions There is a “Target Rate Feedback Mechanism” (TRFM), which appears to be another price stability mechanism in the system. However, it is not yet active nor have several specifications of the mechanism been worked out yet. The the idea is that a target rate is set by the MakerDAO token holders. The target rate is essentially a spread which applies to the creation or redemption of Dai, designed to correct the price. CDP liquidation (indirect) Positive There is a mechanism by which traders/keepers can redeem the Ethereum collateral held by another CDP. This can only occur if the value of this collateral falls to an insufficient level to backup the Dai, in this case 150% of the value of Dai. This should incentivise CDP owners to keep topping up their CDPs to ensure there is a large buffer of Ethereum. This is a necessary mechanism to ensure the integrity of the system and ensure the value of the collateral is always sufficient. However it is not clear if this directly keeps the value of Dai at $1. This mechanism can be thought of as a building block on the stability mechanism, which merely ensures the level of collateral is sufficient. Other redemption systems are needed to make this meaningful, in our view. Global Settlement Positive This mechanism can be triggered at any time. The triggering essentially gives all Dai holders an option to convert back to a fixed value of Ethereum, worth $1 according to the oracle price feed, at the time of the triggering (or whatever price is possible given the total level of collateral in the system). The difference between this and normal redemption, is that the price is fixed and its open to all Dai token holders and not paired to a particular CDP. The idea is that this mechanism can be used as a threat against CDP holders, to ensure they keep redeeming Dai in the event the price falls, rather than holding out for an even lower price. Global settlement can also be used in the event of bugs or other emergencies. MakerDAO token issuance (indirect) Positive MakerDAO token holders act as the buyer of last resort. If the collateral (pooled Ethereum) in the system were to drop below 100% collateralization, MakerDAO is automatically created and auctioned on the open market to raise additional funds to collateralize the system. Hence, if the system becomes undercollateralized, Maker holders absorb the damage. Again this mechanism protects the value of collateral, but does not directly help the price of Dai converge to $1, in our view. The primary stability mechanisms appear to be the ability of CDP owners to redeem if the price of Dai is too low and for people to create new Dai if the price is too high. For example if the price of Dai falls to 80 cent, CDP owners could purchase Dai in the market and redeem it, unlocking $1 worth of Ethereum and making a nice profit. This is how the system should work under normal circumstances. The above appears to be a robust stability mechanism which should keep the price of Dai at or near $1. However, the theory may only work if CDP owners expect the price of Dai to correct back to $1. If the price of Dai has fallen to 80 cent, CDP owners may be reluctant to redeem if they expect the Dai price to fall further to 60 cent, as such a price would enable them to make even more profit. There is no guarantee that once the price reaches 80 cent, it won’t continue to fall. Therefore the stability mechanism could depend somewhat on the power dynamics between two groups, Dai owners and CDP owners. These two groups are essentially trading against each other in the market, Dai owners are selling of Dai and CDP owners are the potential buyers. If the power balance shifts towards CDP owners, such that they are well capitalised, patient, collaborative and determined, this group could outmaneuver the Dai token holders, drive the price down, and then buy it back and make a large profit. This may seem unlikely, but in our view the stability mechanism may not work in all market scenarios. Although we consider Dai as superior to BitUSD, in some limited ways, the Dai peg relies on market psychology and investor expectations, in the same way as BitUSD. Therefore the Dai peg is also weak and unlikely to scale. The global settlement system can mitigate the above risk. If CDP owners are successfully manipulating the price of Dai down too far, this could trigger global settlement. 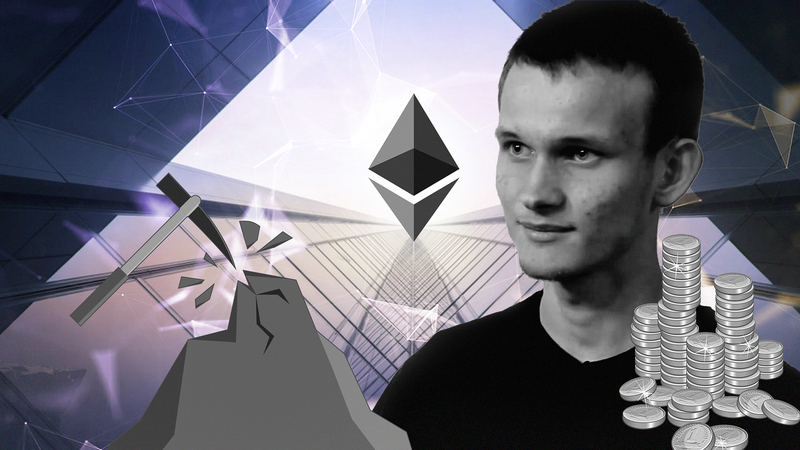 Dai holders would then get around $1 of Ethereum back. Therefore the threat of global settlement may keep the price of Dai up. However again the effectiveness of this threat depends on the determination of the various groups, the CDP owners, MakerDAO token holders and global settlement activators. We consider Dai to be one of the most sophisticated and advanced stablecoins systems which has been produced so far. In our view, when digging into Dai’s stability mechanisms, there is no one powerful mechanism which ensures stability. Instead we have a complex network of systems, which to some extent reference each other and use circular logic. One could claim this complexity was created to obfuscate the lack of a strong and clear stability mechanism, but it is more likely to be an indication of an experimental trial and error type approach to the design of the system. Therefore the system is still reliant on investor expectations and psychology, although to a lesser extent than the BitUSD. While the stability systems in place could work, at least for a while, we think they are not robust enough to withstand market turmoil or some types of power imbalances between Dai holders and CDP owners. Therefore, the search for the holy grail continues. Abstract: Although in 2018 Bitcoin may have somewhat moved on beyond this issue, in this sixth piece on consensus forks and chainsplits, we provide a list of 44 tokens which seem to have forked away from Bitcoin since the Bitcoin Cash split. In this sixth piece we list 44 Bitcoin forked tokens. Please note it is very important to handle these new fork tokens with caution. In particular, we would strongly advise you not to import your Bitcoin private key into any new fork token wallets without first spending the Bitcoin to a new output associated with a different private key after the token snapshot point, so that your Bitcoin is not at risk. In this piece we examine proof of stake (PoS) consensus systems. We look at their theoretical advantages and weaknesses. We then analyse the specific details of some of the most prominent and novel PoS systems attempted thus far, where we learnt that some pure PoS systems becomes increasingly complex, to the point which they became unrealistic. 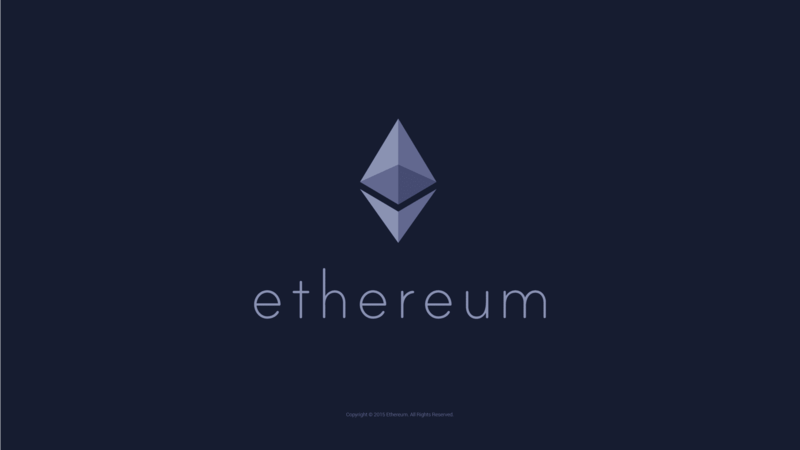 We review the latest Ethereum proposal, which we think is a significant improvement compared to previous attempts and it could provide net security benefits for the Ethereum network. However, the system may still be reliant on proof of work (PoW), which is still used to produce the blocks and at this point it is not entirely clear to us if the PoS element of the process contributes to ensuring nodes converge on one chain. PoW uses the most accumulated work rule to decide between competing valid chains (fork choice rule). This is not only an apparent solution to criteria three above, but the PoW mechanism also inherently solves the block production and block timing issue. While total accumulated work is the fork choice rule, a block producer is also required to include an element of PoW in each block, a stochastic process, and therefore the issue of who produces each block and when each block is produced, is also be addressed by PoW. 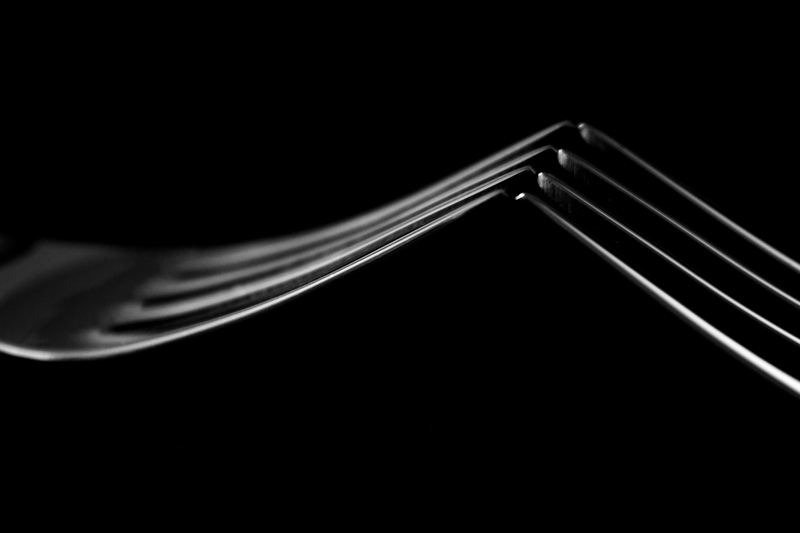 PoS is the general concept of a fork choice rule based on the most accumulated stake (i.e. the chain with the most coins backing, voting or betting on it). However, unlike PoW, this does not necessarily directly address the issue of who produces each block or when blocks are produced. Therefore these issues may need to be addressed by alternative mechanisms. PoW is also a solution to the coin distribution problem, something which may also require an alternative solution in PoS based systems. The Byzantine generals problem illustrates some of the main challenges involved when attempting to construct a data structure with the properties mentioned above. Essentially the issue is about timing and how to determine which updates to the ledger occurred first. Actually if one third or more of the actors are disruptive, the problem is provably unsolvable, from a mathematical standpoint, as Leslie Lamport proved in 1982. PoW can therefore be considered as an imperfect hack, which seems a reasonably strong Byzantine fault tolerant system, but certainly not a mathematically robust one. It is in this context, of imperfect systems, which one should analyse PoS alternatives, as like PoW, these systems will also have flaws. In PoS there are two competing philosophies. One of which is derived from PoW. Coins based on this include Peercoin, Blackcoin and earlier iterations of Ethereum’s PoS proposals. The second philosophy, is based more on Lamport’s academic research from the 1980s and embraces the conclusion Lamport reached that a two-thirds majority is required to build a Byzantine fault tolerant system. Ethereum’s current iteration of the Casper proposal adopts this second approach. Perhaps the most widely cited advantage of PoS systems is the absence of the energy intensive process which PoW requires. If PoS based systems can achieve the same useful characteristics as PoW systems, environmental damage can be avoided. This is a significant positive for PoS, although as we discussed in our piece on Bitcoin’s energy consumption, the problem may be slightly overstated, due to the incentive to use lower cost or otherwise failed energy projects as a source of power, limiting environmental damage. Another major problem with PoW based systems is that the interest of miners may not align with that of coin holders, for example miners could sell the coins they mine and then only care about the short term, not long term coin value. Another issue is that hashrate could be leased, with the lesee having little or no economic interest in the long term prospects of the system. PoS directly ties the consensus agents to an investment in the coin, theoretically aligning interests between investors and consensus agents. Many aspects of mining can have economies of scale, such as maintenance costs and energy costs, resulting in centralisation. PoS only appears to be a proposed solution to the chain selection problem, leaving the other problems open. Although these other issues could be less significant than the chain selection issue. One of the most common criticisms of PoS systems is that they allocate new funds in proportion to the existing holdings. Therefore the “rich get richer” and it results in a few wealthy users holding a higher proportion of the wealth than the more egalitarian PoW alternative. If one invests in a PoS system at the start, you can maintain your share of the wealth, alternatively in a PoW system your wealth is diluted as new rewards are distributed to miners. Indeed, if rewards are allocated in proportion to the existing holdings, one could argue its not inflation at all and that the reward is economically equivalent to adding more zeros to the currency. Therefore one can even claim the reward system is pointless and does not provide an incentive at all. However this only applies if all users become PoS validators, while in reality some users will want to use the funds for other purposes. Another issue is that staking requires signing a message from a system connected to the internet. Therefore stakers are required to have a “hot wallet” which increases the risk that funds are exposed to theft from hackers. Although it may be possible to mitigate this downside by having a private key only entitled to stake for a short period of time, after which the balance reverts back to the owner. 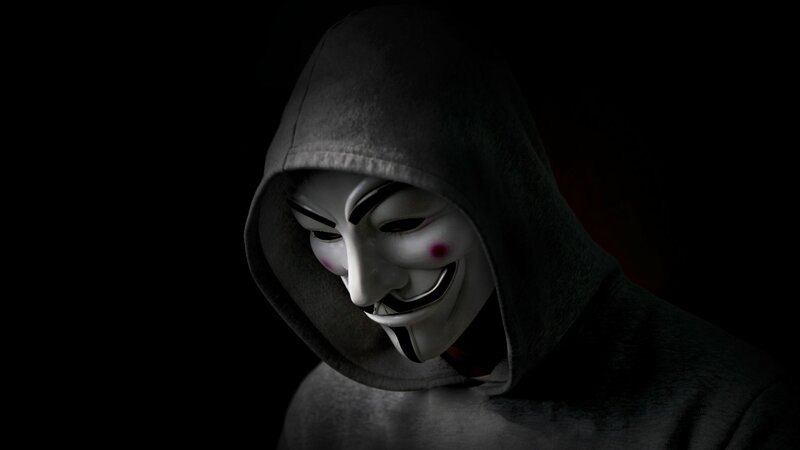 Although if there is a slashing rule (punishment for voting on two conflicting chains), a hacker could conduct action which destroys the funds even if this mitigation strategy is used. Another potential mitigation strategy could be the creation of specialist hardware for staking. Core to the consensus problem is timing and the order of transactions. If two blocks are produced at the same time, PoW solves the problem by a random process, whichever block is built on top of first can take the lead and then miners are incentivised to build on the most work chain. PoW requires energy, a finite real world resource and therefore miners have to decide which chain to allocate this resource to. In contrast this process in PoS based systems is not entirely clear. If two blocks are produced at the same time, each conflicting block can build up stake. Eventually one block may have more stake than the other, which could make it the winner. The problem here is that if stakers are allowed to change their mind to back the winner, such that the system converges on one chain, why would they not use their stake on multiple chains? After-all stake is a resource inherent to the chain and not linked to the real world, therefore the same stake can be used on two conflicting chains. Herein lies the so called “Nothing at stake” problem, which we view as the most significant issue facing PoS. The Nothing at Stake problem Stake does not add to the convergence of the system, since the same stake can be applied to multiple competing chains, which is a risk free way of stakers increasing their rewards. In contrast, in PoW based systems, energy is a real world finite resource and therefore the “same” work cannot be applied to multiple competing chains. Defense 1 The issue can be avoided or mitigated against. The protocol can be adjusted such that if a staker uses the same stake on multiple chains, a third party can submit a proof of this to either chain, resulting in a punishment, such as the confiscation of the stake (slashing conditions). Alternatively instead of a punishment, the cheater could lose potential rewards or be excluded from the staker pool. Response from PoS sceptic The above defence is inappropriate and punishes what may be legitimate or necessary behavior. For example if a staker receives a block first, while the majority receives an alternative block first, it may be legitimate for that staker to change their mind and switch to follow the majority. Indeed the process of changing your mind and switching to the majority to ensure the network converges is the point of the consensus system. If this behavior is punished, how does the system converge? Either the economic value of the punishment is higher than the rewards for switching to follow the majority, or it isn’t. Therefore the nothing at stake problem means PoS systems can never make a contribution to system convergence and the idea is therefore fundamentally flawed. Earlier proposals from Casper used multiple rounds of staking. Changing one’s mind in the early rounds can be legitimate and perhaps the punishment is small, while in later rounds the punishment for using the same stake in multiple competing chains increases, such that eventually users have a high degree of assurance over the finality of the system. The most recent iteration of Casper aims to allow validators to change their minds, but only in “legitimate” scenarios and not when its “illegitimate”. Response from PoS sceptic By adding multiple rounds or criteria in which validators can change their minds one is increasing the complexity of the system. This is merely adding layers of obfuscation to conceal the inherent weaknesses illustrated by the nothing at stake problem, without solving the fundamental issue. Defence 3 No system is perfect, indeed it’s mathematically impossible to construct a perfect system and therefore the nothing at stake problem is not solved, however the measures identified above mitigate the problem, such that these theoretical issues are unlikely to apply in the real world. Another potential issue with PoS is the so called “long range attack” problem. This is the idea that attackers could, for instance, buy a private key which had a large token balance in the past and then generate an alternative history from that point, awarding oneself more and more rewards based on PoS validation. Due to the large amount of rewards given to the attacker, one could then generate a higher stake chain than the existing chain and a large multi year chain re-organisation could be performed. The solution to this problem is checkpointing, which is the process of locking in a certain chain state once a certain stake threshold has been met, such that it can never be re-organised. Critics argue that this solution requires one to keep their node online at all times, since an offline node cannot checkpoint. Some claim that if one goes offline, the security model therefore degenerates to “ask a friend”, since one is dependent on asking others for their checkpoints. Although in the past the Bitcoin reference implementation included checkpoints, the purpose of these was to speed up the initial sync, although the impact of this could be said to result in an “ask a friend” security model. Although the ecosystem is expanding, many businesses and exchanges operate 24×7 and are therefore required to keep a node running all the time, and can therefore do checkpointing. There are strong incentives preventing them from allowing a large chain re-organisation. To many, this is sufficient security and the risks posed by the long range attack problem are therefore irrelevant or too theoretical. In a pure PoS system, stakers also need to produce blocks. These systems have often worked by selecting a sequence of authorised block producers randomly from a pool, where the probability is proportional to the stake. The issue here is a source of randomness is required inside the consensus system. If the blocks themselves are used for generating the entropy, stakers could try to manipulate the content in blocks in order to allocate themselves future blocks. Stakers may then need more and more computing power to try more and more alternative blocks, until they are allocated a future block. This then essentially results in a PoW system. In our view, the stake grinding problem is less of a fundamental problem with PoS, when compared to significant issues like the nothing at stake problem. All that is required to solve this problem is a source of entropy in the network and perhaps an Ethereum smart contract like the RanDAO, in which anyone can participate, can solve this problem. Peercoin is a hybrid PoW and PoS system, built on the idea of coin age. The fork choice rules is the blockchain with highest total consumed coin age. In Peercoin, some blocks were produced purely using PoW, whilst other blocks were produced using PoW where the difficulty adjusts based on the coin age destroyed by the miner in the transaction (the coinstake transaction as opposed to a coinbase transaction). “For example, if Bob has a wallet-output which accumulated 100 coin-years and expects it to generate a [PoS block] in 2 days, then Alice can roughly expect her 200 coin-year wallet-output to generate a [PoS block] in 1 day. Nothing at Stake The protocol aims to prevent miners using the same coins in a coinstake transaction on multiple chains by ignoring the second conflicting chain. However this is not sufficient and can result in nodes diverging, if they receive the conflicting blocks in a different order. Long range attack This was a critical vulnerability for Peercoin, an attacker can simply save up coin age by not spending their coins and then launch a re-organisation attack. This was solved by centrally broadcasting checkpoints several times a day. Peercoin was therefore a centralised system. Stake grinding This may not have been an issue, since there was no selection from a validator pool as PoW was always required and coin stake altered the PoW target. At the time Peercoin was an interesting early novel approach, however the proposal resulted in a centralised system, not able to match the properties of PoW. This is a full PoS proposal, based on “consensus by bet” methodology. Blocks are produced from a pool of block producers, a random number generator is used to select whose turn it is to produce a block and then the producer is given a time window in which they can produce a valid block. There is a set of bonded validators, one must be in the set to make or take bets on blocks. Validators can then make or take bets on block propositions, providing a probability each time, representing the return betters can make. After several rounds of betting, as the probability approaches 1 or 99%, the block is considered final. If the block is not yet present, but the current time is still very close to the time that the block should have been published, bet 0.5. If the block is not yet present, but a long time has already passed since the block should have been published, bet 0.3. If the block is present, and it arrived on time, bet 0.7. If the block is present, but it arrived either far too early or far too late, bet 0.3. Some randomness is added in order to help prevent “stuck” scenarios, but the basic principle remains the same. The default betting strategy had a formula (given below), to push the probability away from 0.5, such that the chain would move forward, with the probability expecting to either approach zero or one. If a validator bets when the probability is 99%, the return is very small (a 1% return used as a measure from which the reward is calculated), in contrast a winning bet placed placed with odds of 0.5, represents a return of 100%, which results in a higher return from the rewards pool. The fork choice rule then is the sum of all the weighted probabilities, which have crossed a certain threshold, say 0.99. For instance a chain of five blocks, each with a probability of 1 will represent a score of 5. Any validator who changes their mind after the 0.99 threshold has been crossed, can be punished (slashed) for staking on multiple chains. While changing your mind before the threshold is considered legitimate and there is no punishment in that scenario. In our view, this proposal is highly complex, which we consider as the main downside. Nothing at Stake The protocol aims to prevent miners using the same coins to bet on multiple chains by using a punishment mechanism, in which validators would lose their deposit. In our view, this could harm the convergence of the system, although betting formula may move the probability away from 0.5, which is designed to help mitigate the issue. Block production The RanDAO contract could be used to provide entropy to select the block producer. However, this only provides a time window in which blocks could be produced, it is possible there is a lack of consensus over whether the block was produced within the time window or not, after which the betting process is supposed to resolve the dispute. Long range attack The nodes checkpoint blocks once a certain probability threshold has been reached. The long range attack problem remains for periods in which nodes are switched off. The proposal was not adopted by Ethereum. In our view the proposal was never complete, as some parameters and aspects of the system lacked a specification. Although the consensus by bet approach was interesting, it seemed too complex and there were too many uncertainties. This approach illustrates the difficulties involved when constructing full PoS systems and how when one tries to address the weaknesses, it just results in more and more complexity, until the system becomes unfeasible. The current Casper proposal represents a change in philosophy or a pivot, compared to some of the earlier PoS systems. It returns to the academic work of Lamport in the 1980s and Lamport’s theorem that these systems work if and only if two-thirds of agents in the system are honest. Therefore the current version of Casper is less ambitious than before. PoS is no longer used to produce blocks or decide on the timing of blocks, which is still done by PoW miners. The PoS system is used as a checkpointing process. In our view, this proposal is superior to the more complex earlier iterations of Casper. The PoS system is only used every 100 blocks, to provide an extra layer of assurance over PoW, as a checkpointing system. Participants in the PoS process send their Ether into a “validator pool”. Every 100 blocks validators put their stake behind a checkpoint block, whilst also referencing a previous checkpoint block. If two-thirds of the funds in the validator pool support a proposal, the block is considered “justified”. Once a block is justified, it can be used as a reference for future votes. Once two-thirds of the stake use a justified block as a reference, this justified block is considered finalised and this finality takes precedence over PoW. Validators votes are only valid 12 confirmations after the last checkpoint block. If the two thirds threshold is not met, the chain continues to progress based entirely on PoW. Votes for multiple conflicting blocks at the same height. Votes for multiple conflicting blocks at different heights, but using conflicting reference blocks, unless the new reference block has more height. The Ethereum reward structure will be adjusted, such that PoS validators also receive a share of the rewards, in addition to the PoW miners. As far as we can tell, the details of this new allocation have not been decided yet. The latest iteration of Casper is a significant improvement from earlier versions, in our view, primarily because of lower levels of complexity and greater reliance on PoW mining. Stakers reaching two-thirds majority support for a lower PoW chain than the current leading PoW chain, a new way of causing a re-organisation. We view this as the most significant downside of this proposal. Core to the assumption behind this system is that its PoW which drives the chain forwards and that the PoS system only comes into play, once the PoW miners have decided on a chain, PoS votes are not even valid before 12 miner confirmations. Indeed, if the two thirds majority cannot be achieved then the chain continues on a PoW basis. Therefore, we conclude, that the core characteristic of this latest Casper proposal is that the PoW happens first, and only after this does PoS potentially provide an extra assurance against a chain re-organisation, orchestrated deliberately by a hostile PoW miners. PoW therefore still provides computational convergence, with the PoS mechanism defending against the threat of a human/politically instigated miner re-organisation. Therefore although PoS provides this safety, as point three above indicates, it also provides extra risk, therefore its not clear if there is a net benefit. Nothing at Stake Validators can vote on multiple chains, but not at the same height. This is designed to allow validators to change their mind, but only for “legitimate” reasons. For the hybrid version of the model, the convergence issue may be solved by relying on PoW mining. Block production PoW miners produce blocks and therefore there is no issue related to selecting the block producer. Long range attack Once two-thirds of the stake in the validator pool has used a block as a reference for voting, nodes finalize the block and there cannot be a re-organisation. The long range attack problem remains for periods in which nodes are switched off. Stake grinding PoW miners produce blocks and therefore there is no stake grinding issue. In the event of a contentious hardfork and chainsplit, if the new chain alters the format of the validator checkpoint votes, two-thirds of the validators could conduct destructive re-organisations on the original chain, while avoiding punishment (slashing) due to the new voting format. Validators could therefore destroy the original chain, while still moving forward on a new chain of their choice. The system could therefore be less resilient to being shut down. Question 1 – Even though the PoS system may provide more assurance than before, prior to the 34% voting threshold being reached, re-organisation risk may be higher, since a re-organisation can occur in more ways, both via PoS and via PoW. Are you concerned about the negatives of this? I would say no. There are plenty of reasons to believe that it should not negatively impact stability. The pre-finalization chain scoring rule is “highest finalized epoch + total difficulty * epsilon”. There is a paper here that points out that any “monotonic” chain scoring rule is a Nash equilibrium; our scoring rule is clearly monotonic so it’s a Nash equilibrium. Both miners and validators use the chain scoring rule, so miners and validators would both naturally help the chain grow, not try to revert it. Casper FFG was deliberately designed in this way, to “play nice” both with “chain-based” intuitions of consensus as well as BFT-theoretic concepts of finality. We accept that if either of these are true then Casper FFG can add risks. Question 2 – How do you expect users and exchanges to behave? Should exchanges modify their behavior before crediting deposits, for example 2 confirmations plus 34% of validator votes? Question 3 – Will there be an overall confirmation score metric, combining both the impact of PoW and PoS, which exchanges can use? which is an ancestor of a checkpoint C which is an ancestor of the head. Validators have started voting on C.
The child of C’ has >1/3 votes. At this point, at least one validator needs to actually be slashed for the transaction to be revertedC is finalized. This latest PoS proposal is the best proposal so far, in our view. We think it may be adopted by Ethereum and it could make a net positive contribution to the security of the system. However, the system remains reliant on PoW mining, at least at the interim stage. PoW is relied on to resolve any Byzantine faults first, before the PoS process occurs. Therefore the system relies on PoW for both block production and for the crucial property of ensuring the system converges on one chain. Although PoS mining may mitigate some risks (hostile PoW miners), it is unclear if it makes a net contribution to convergence or security. Critics of PoS could therefore argue that any rewards redistributed from PoW miners to stakers unnecessarily dilutes system convergence and security. Although we think the current proposal could work, the nothing at stake problem could still be a significant challenge. The jury is still out on whether this new mechanism solves this problem. Therefore despite the plan to use this proposal as a stepping stone, as part of a gradual shift towards a full PoS system, this could be more difficult to achieve than some in the Ethereum community think.